This book's text is illustrated with code samples. 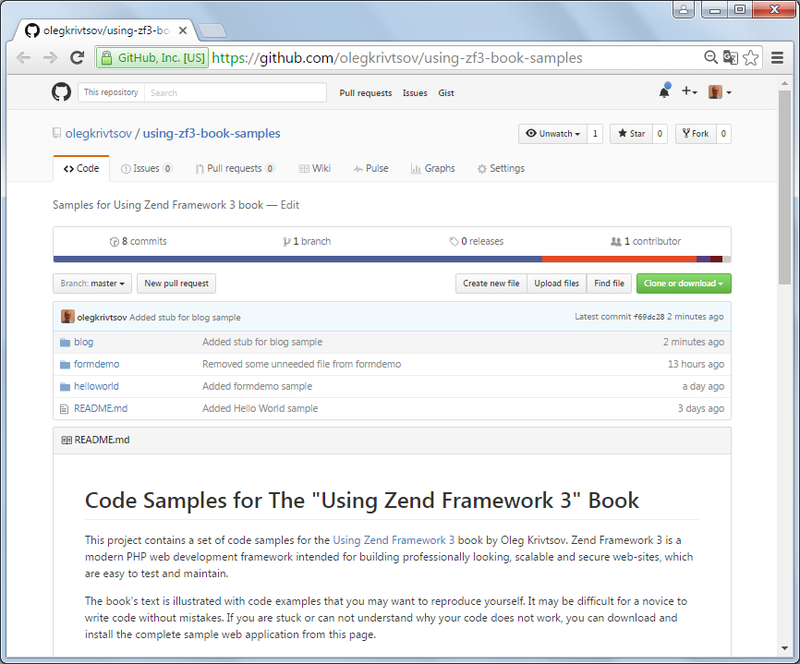 Each sample is a complete website you can install and run yourself to see Zend Framework 3 in action. You can even use the samples as a base for your own websites. All the source code is stored on GitHub. The code is publicly available, and you can download the entire code archive by visiting this page. To download the archive, click the Clone or Download button that can be found on the page (see the figure below). The structure of the code archive is presented below.